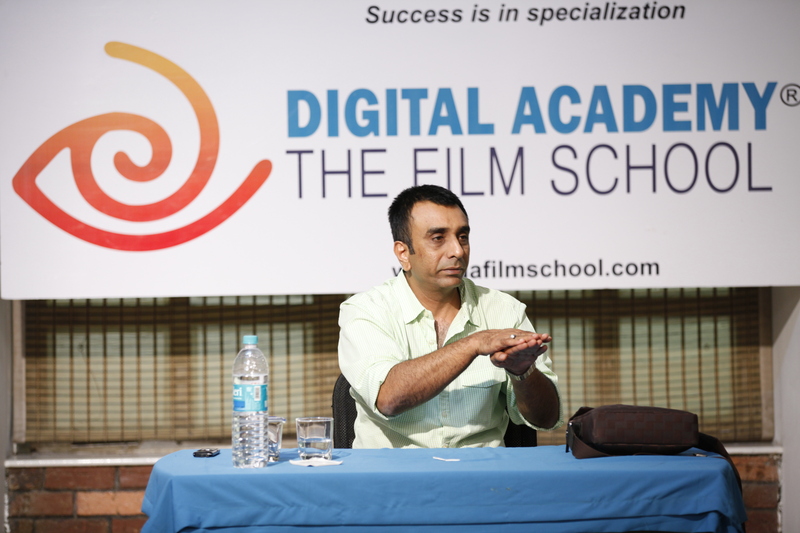 At Digital Academy – The Film School (DA), our education & learning philosophy comprises two elements that we believe are needed in equal measure to impart a holistic Film education; theory and practical learning. So while the theoretical classes instill important knowledge about the history and techniques of Acting, Direction or whichever course it may be, it is only upon practical application that students can truly put their learning to the test. 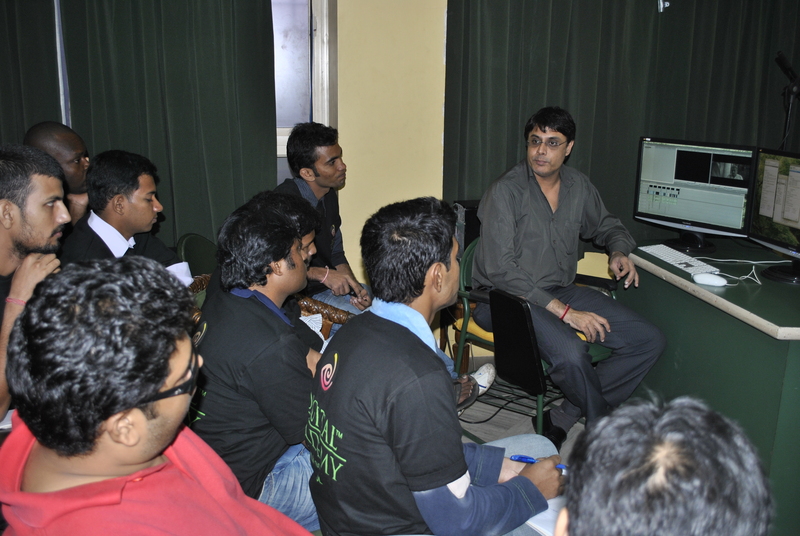 Furthermore, practical hands-on experience, through workshops conducted by experts from various departments, gives students real-world insights and tools to become more effective Film-makers. For example, it is one thing to read about editing techniques in a book or study in a class, and quite another when a real workshop is conducted by a well known industry Editor. Minus the workshop, the student will be knowledgeable, but armed with the workshop he will have the chance of trying out techniques for himself, that too with invaluable inputs and advice from a successful Editor. 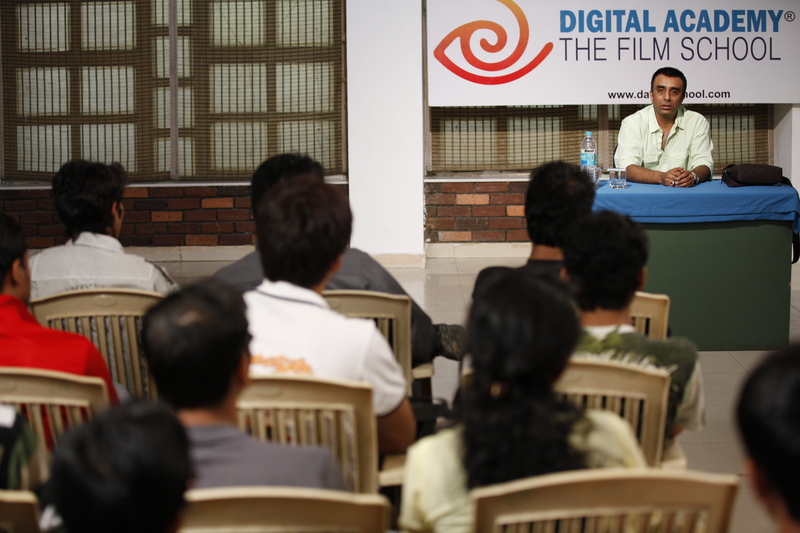 In keeping with this firm mandate we, at Digital Academy – The Film School, organize regular workshops in a variety of courses. 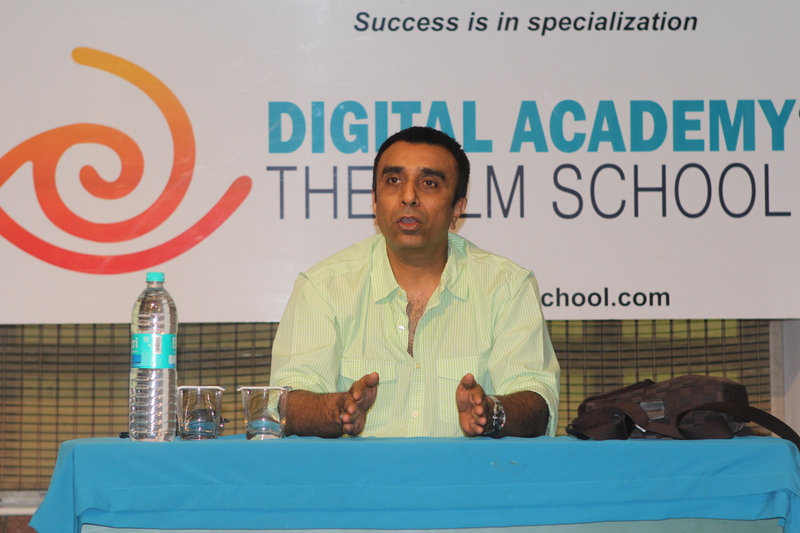 Renowned Sound Engineer and Producer Mr. K J Singh, winner of several Sound mixing awards for his work in Films like ‘Rang De Basanti’, is just one example of an industry heavyweight and a technical master who has held a workshop at DA. Like him, there have been and continue to be many others who regularly lecture and take workshops at DA. Mr. Kiran Deohans, one of India’s top Cinematographers with Films like ‘Jodha Akbar’, ‘Aks’ and ‘Kabhi Khushi Kabhi Gham’. Famed writer of Films like ‘Parinda’, Mr. Imtiaz Hussain. Ace comedy Director Mr. Sajid Khan of ‘Hey Baby’ fame. All these people and many more illustrious Bollywood personalities regularly hold workshops and sessions at DA, in every subject, from Acting, Direction, Writing and more. 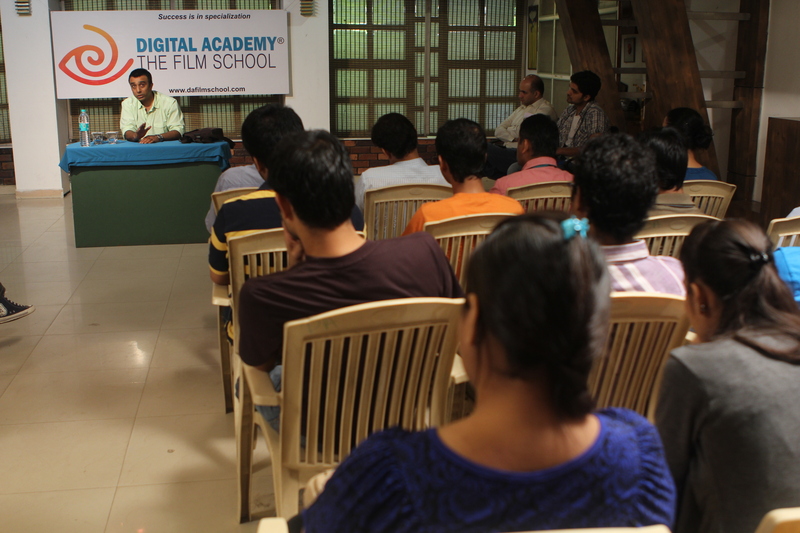 At Digital Academy – The Film School, we do not just put students in a classroom and give them theoretical know-how. 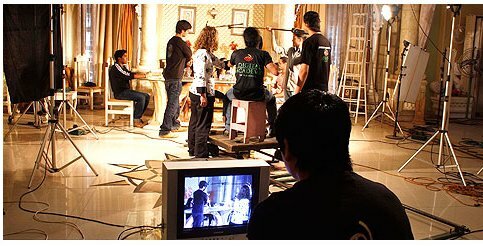 We prepare them for the real world of Film-making in Bollywood and abroad, by imparting education that is full, complete, thorough and all-round. It is unlike any other in the country. Now the only question is, will you take this education and fast-track your entry into Bollywood? Film making is a multi-faceted and collaborative effort. Sure it begins with a great story and is largely dependent on a visionary Director to realize that story appropriately on screen. But there are many more people and functions that determine the end result. And one of the most crucial aspects in that scheme of things is the Editing. 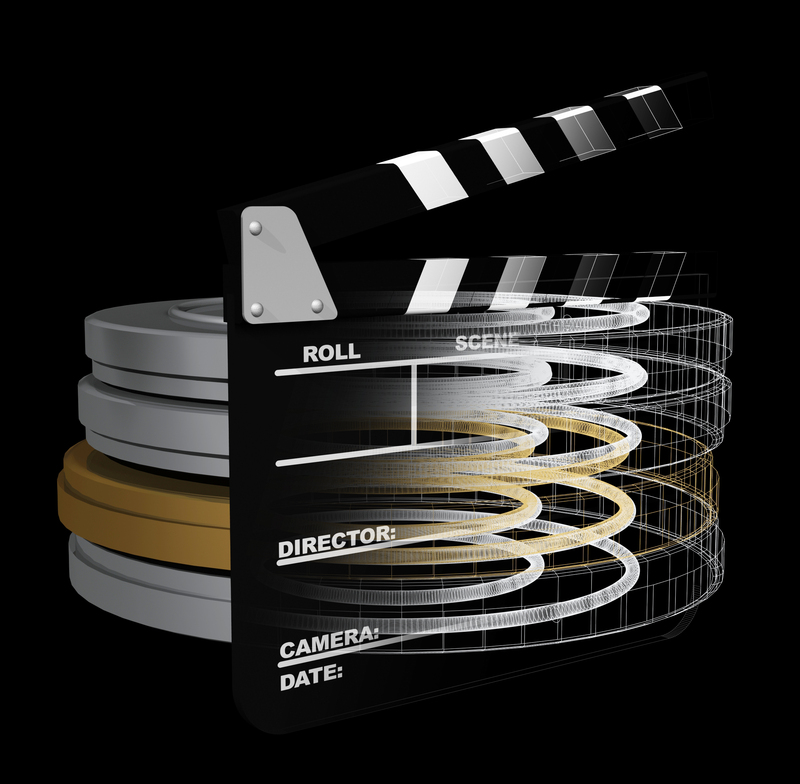 It is the Editing and the Editor, albeit with guidance from the Director, that ultimately determines what goes on to the screen to become a part of the final cut and what the viewers watch. Not only is it a position of extreme power and responsibility, it is also a task that requires an immense story sense, a sense of pacing and a sense of visuals. So what are the tips to keep in mind to edit for Film & TV? Story: All that matters is the story. An Editor must know and feel the story completely. Only then will he or she be able to express what needs to go on to screen, justifiably. Pace: When editing a Film, the pace must also be kept in mind. For example, if one is watching a James Bond Film, it can not be slow and linger on indefinitely. By that same logic, a drama can not be paced and cut like an action thriller. It will simply not work. Cut On Motion: A basic rule of Editing is to avoid a jarring & noticeable jump. A good Editor must always cut on an action that one of the characters on screen is doing. This will make the cut smooth and unnoticeable. Awareness: An Editor must be aware of the important characters and the plot points to give them their due importance and time on screen. For example, if a character is experiencing a moment where he realizes something, it needs to be played out fully on screen and not snipped midway. By that same token, unnecessary scenes, that Directors understandably become attached to, but don’t help move the story along or serve any character purpose, need to be omitted or shortened. Read/Watch/Observe: The best way for an aspiring Editor to learn more is by reading books written by great Editors. For example, In The Blink Of An Eye by legendary Editor Walter Murch, is a great resource. Similarly, watching more & more Cinema will always teach invaluable lessons. But ultimately, because Editing is one function that needs an equal combination & dexterity of the right brain and left brain functions, ie. technical Sound Editing as well as a creative sensitivity, especially modern day digital editing, the only sure way of truly grasping it is by taking a thorough Editing course. 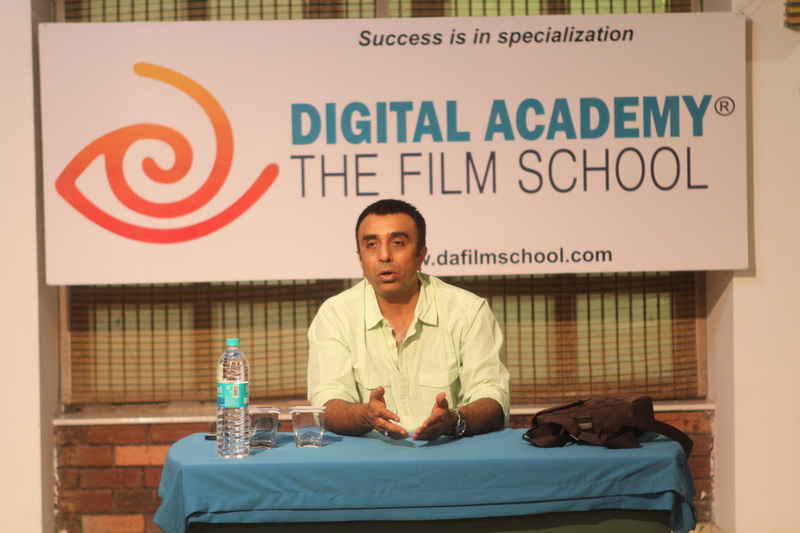 Institutes such as Digital Academy – The Film School, now have world-class programmes in India that are tailor-made to each Film-making discipline, including Editing. 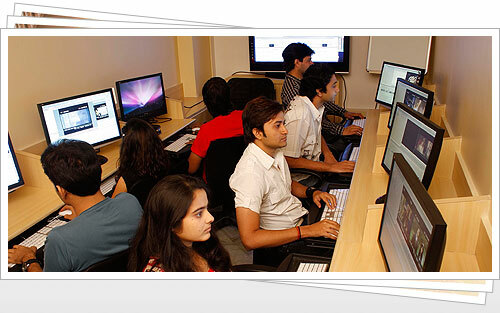 One course and you have all the knowledge, tools and skill set to be effective and great Editors. So why try anything else? Film Making is a complex and multidisciplinary medium. Different people have different aspirations, about the roles they want to play in the process. While some want to be Directors, others are more inclined visually, and want to be Cinematographers. While some want to express themselves in front of the camera as Actors, others want to create the characters that are being portrayed by being Script Writers. The facets are endless, but that’s where Digital Academy – The Film School, gives you the winning edge. At DA, we understand and appreciate each facet of the Film making process. And like our infrastructure and teaching talents are not restricted, neither are the courses on offer. 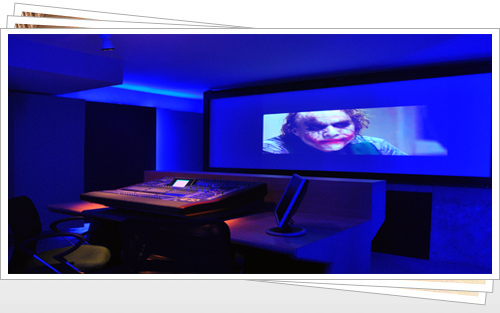 We have put a lot of time, thought, and effort, into designing courses that address each aspect of the Film world. The only thing left for you to do, is to decide which one, and commit to your dream! For the hungry young Director, it is crucial to have an understanding in each of the filmmaking specializations. Because only then can that person truly serve as the captain of the creative ship. Our Film Making course does exactly that, by providing theoretical & practical learning in the areas of Cinematography, Sound, Editing, Acting, Production Design & Production. Spread over 6 months, this intensive training yields only the best amateur Film makers, that are eager to make the next big epic. Like the detailed plan for a new building that’s to be constructed, the Script, or screenplay in film terms, is like the constitution of any film. 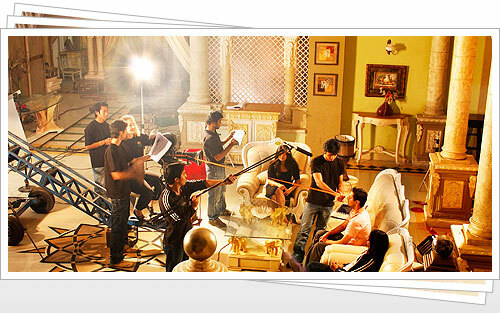 Our Scripting course hones in the nuances of screenplay writing in budding writers over a rigorous 52 session program. To make a Film from scratch to finish, writing your own story and then Filming it, DA offers the Film & Television Direction Course. The emphasis here is on independent study, learning through the writing of an ‘original’ Screenplay and the making of a Film. If it is the poetry of images that moves you, DA presents the Cinematography course. After all, in a visual medium like Film, it is the moving images, that ultimately move & engage the viewer. Not only will you get hands-on practical training in Film and digital cameras, along with extensive lensing and lighting practicals, but will also get a rigorous input in the aesthetics of image making. Editing, that all-important function that decides how you will be told the story. The where, when, why and how of everything on screen. Editors are not just technicians, but the real story tellers of a film. 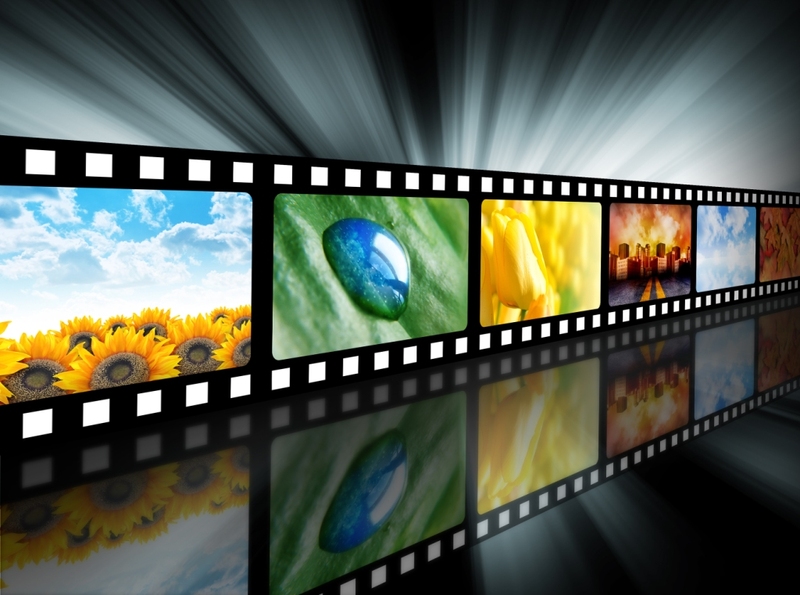 DA’s Film & Television Editing course will provide hands-on practical training using FCP and Avid Express DV, and the fundamental and aesthetic principles of non-linear editing for Film and Television. What would a Film be without sound? Not only would one not hear the dialogue, one would have no atmosphere without sound. DA’s Sound Recording & Engineering course provides technical & creative training, by employing state-of-the-art equipment used in professional studios. The art of music programming and recording as an independent art is also taught here. Acting is to Film what a race car driver is to the racing team. He or she is the driver of the Film and the story. At DA, the Acting course offers a comprehensive course in which we try to hone the skills as well as recondition the minds of the students so that they may perform to the best of their abilities and become great Actors that embody and exemplify the Film’s story. Production, the actual logistics of Film-making. Distribution, the physical spread of the finished Film. 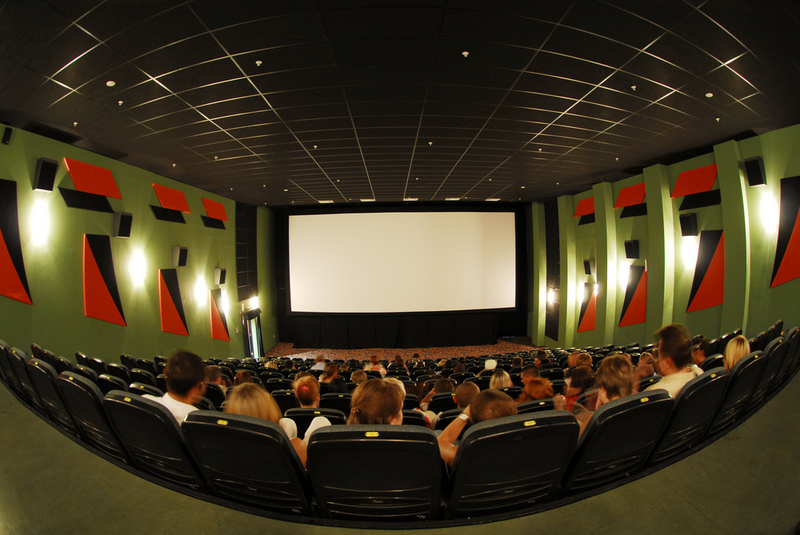 Exhibition, the actual mass screening of the Film. All crucial aspects that fall under the purview of an increasingly involved, inventive, and creative Producer. The Producer’s Course at DA delves deeply into all these aspects. We offer the expertise that will gain a steady and lucrative entry for the students as independent professionals or as parts of a commercial set-up. With that comprehensive list of course choices; Digital Academy – The Film School, offers the most updated and in depth training possible in Films. We like to say, if you have a Film dream, we’ll put you on the right path! Many young students aim to enter the glamorous & creative world of Films. But unlike other industries that have a more set path to break into; the Film Industry is, perhaps, a little more mysterious. So what does one do, to ensure a place in the magnetic world of Cinema? Solid Background, Fundamentals: Film Making is both, an art and a science. While there is no hard and fast rule about being academically qualified in the Film line, there is immense amount of learning, both practical and theoretical, that one needs for solid grounding in the different fundamentals of Film Making, such as Script, Direction, Cinematography, Production and so on. Getting that firm base lays a foundation that proves invaluable. Assist a Mentor: If one is willing to work hard for a modest salary, it is not difficult to get a job under the wing of a well-known industry person. If you want to be a Director, try to get a job as an Assistant Director under a Director you admire. It is the same when it comes to Cinematography & Script Writing. The years you will spend under that person will not only hone your skills, but also put you in an excellent position to ultimately get a chance to make your own Film. This trend is popular these days. 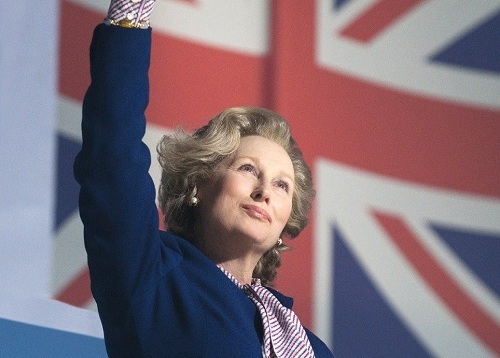 People who have worked under Directors & Producers long term, are then rewarded with a chance to make their own Films. 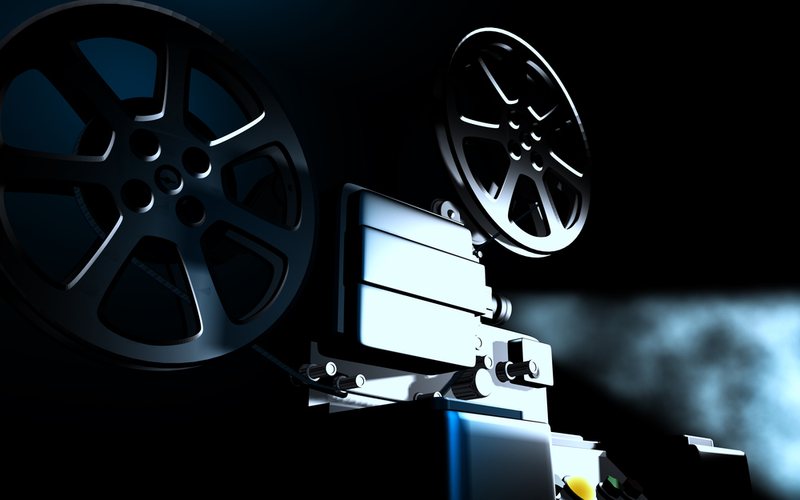 Be Stubborn & Thick-Skinned: The Film Industry is not a sure shot one. It can be a bit like gambling. One also deals with people, who have very large egos. People, who will sometimes be nasty and try and get you down. A must do is to stay focused. Don’t take anything negative to heart. Be thick-skinned. Hard Work & Persistence: At the end of the day, there is no substitute for hard work. You may not feel it at the time, but people are watching, people are noticing, and important people, remember a hard worker. And ultimately, that hard work, is rewarded. Network: And finally, like in any other industry, but perhaps more so in the Film Industry, build your network. How does one do that? Well, be open & friendly to begin with. When you get your first job, even as a Production Assistant, be genuine and try to befriend as many people as possible. And never talk behind peoples’ backs. Be diplomatic. It is a smaller industry than you would think. What goes around comes back. The more contacts you cultivate and keep up, the better. People, no matter how high up and famous, always remember a polite and pleasing personality. It is not an impossibility; and it is no mean feat either. The Film Industry, with a certain amount of persistence, can be broken into. A firm understanding and background of the craft really elevates one’s chances and one’s self-confidence. Once you have that quality Film education in the bag, there is no stopping you!